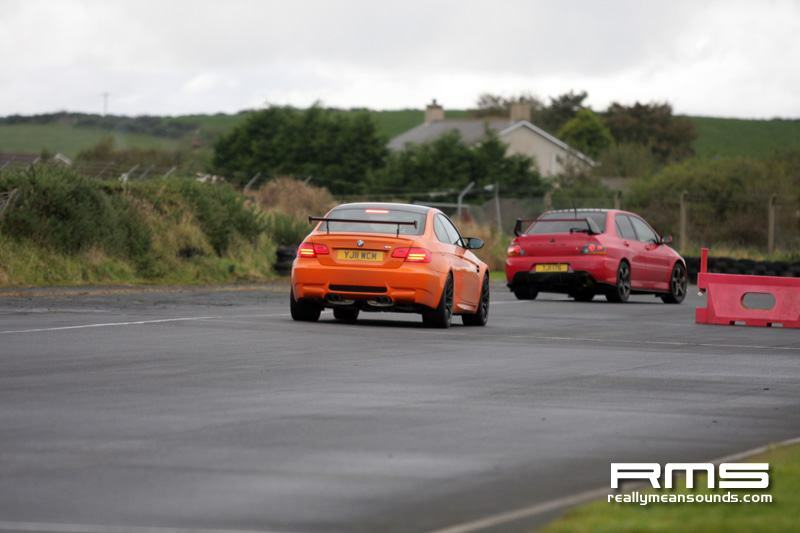 Saturday 13th October was a beautiful day and I thought we were on for a sunny and dry track day the following morning. 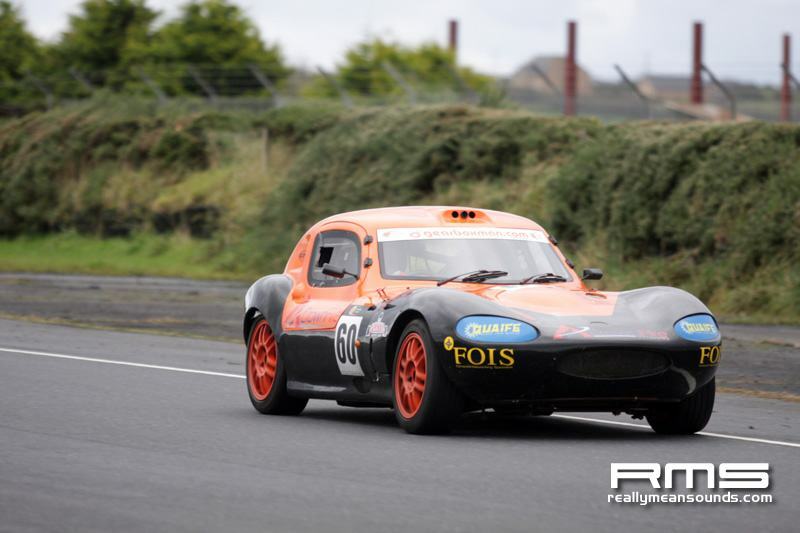 Perhaps the little drops of rain that were falling at 2:00am, as I locked up the shed after preparing my daughters Ginetta, should have warned me! 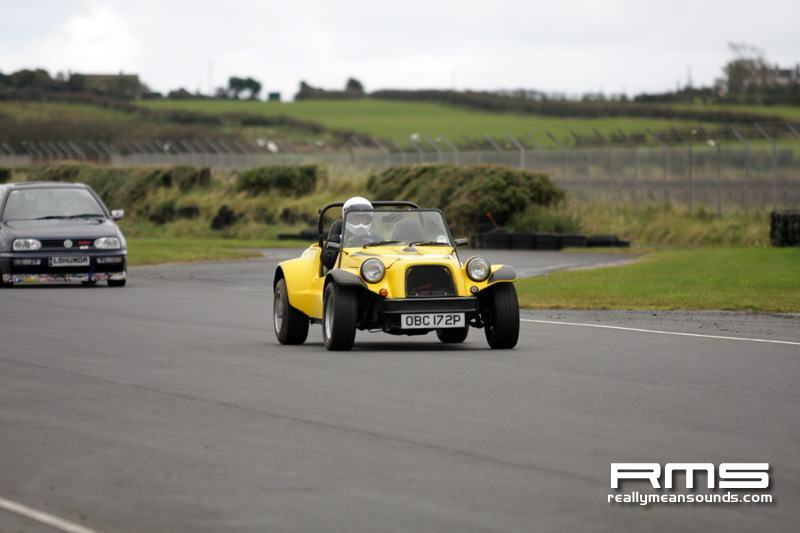 As we were just about to leave on Sunday morning, the phone rang from the track at Kirkistown to say that, although it was not raining, the bottom of the circuit was flooded! The man on the phone and hero of the day was James Higginson, the caterer at the circuit. He said that he would try to get a tractor and brush the water away. When we arrived, an hour later, James had done a phenomenal job. 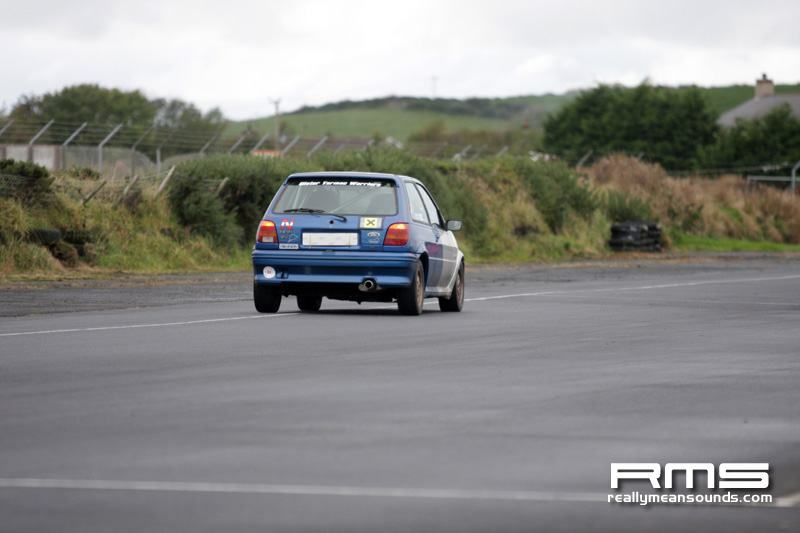 Although there were some puddles, the track was serviceable and it was all systems go. The drivers briefing was a stern affair, as we had some very wet grass that was almost guaranteed to lead straight to the barriers, should anyone venture onto it. 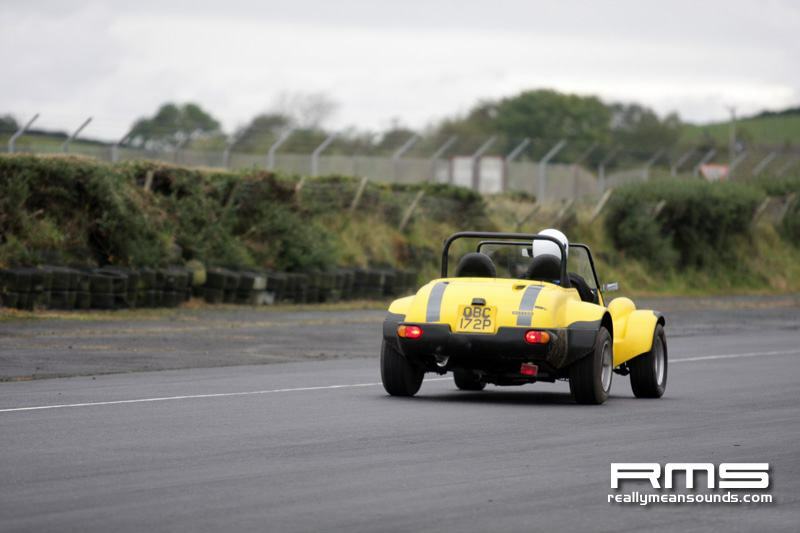 We also had a number of participants who would normally compete at various levels of motorsport and we wished to ensure that everyone knew what behaviour was acceptable at one of our track days. I will say that the driving and behaviour standards of this group were impeccable all day and I am sure that our regular attendees possibly gained a few tips on lines from them. We decided to make the first group mostly saloons so that they would dissipate the puddles before the open topped sports cars went out in the second group. 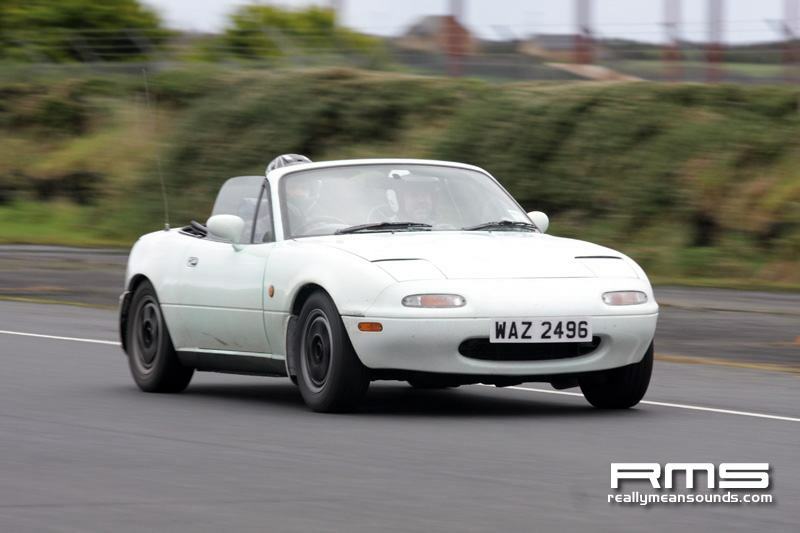 Unfortunately, the rapid MR2 shared by John Lyttle and Raymond Grimes was the first to discover just how slippery the wet grass was, as it got wide at the hairpin and torpedoed the tyres. Fortunately, the damage was cosmetic and the car was able to continue for the rest of the day. 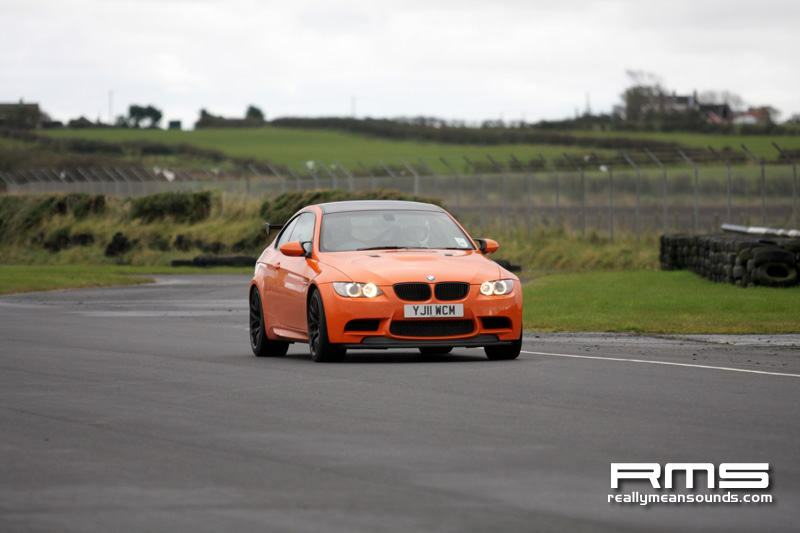 Seamus Jennings circulated very rapidly in his BMW M3. The noise of that car on song is just wonderful! Conn Keenan was another who was circulating surprisingly quickly in his Seat Leon. He was just driving away from Tony Greenans S2000 engined BMW down the straights, although Tony was keeping him honest in the corners. 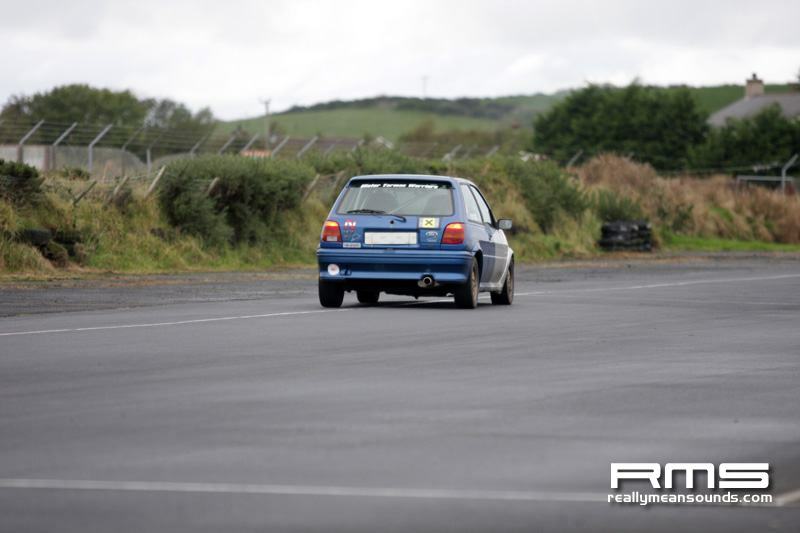 Mark Angus was having his last outing of 2012 in his Golf VR6 and he had put new tyres on it to celebrate! They seemed to work and he went very well. 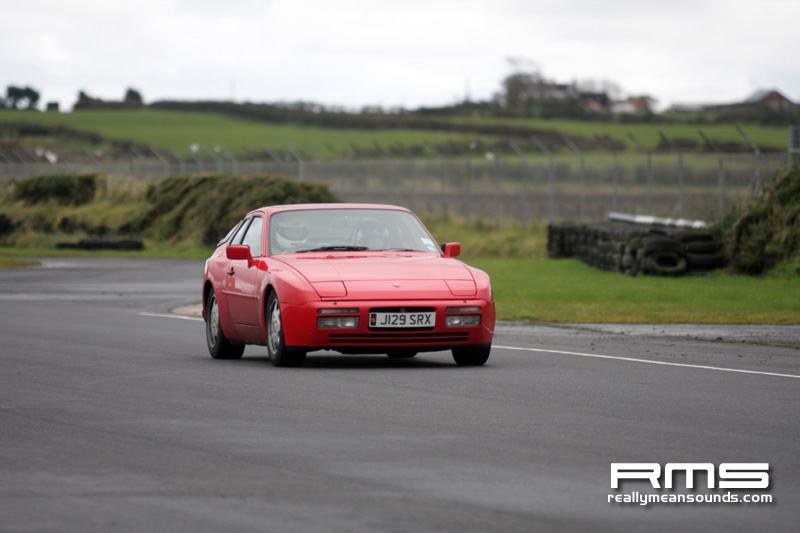 Adrian Hanna went quietly about his business all day in his Porsche 944. He is more used to the Nordschleife! It was good to see Tony McLoughlin and his boys back again. 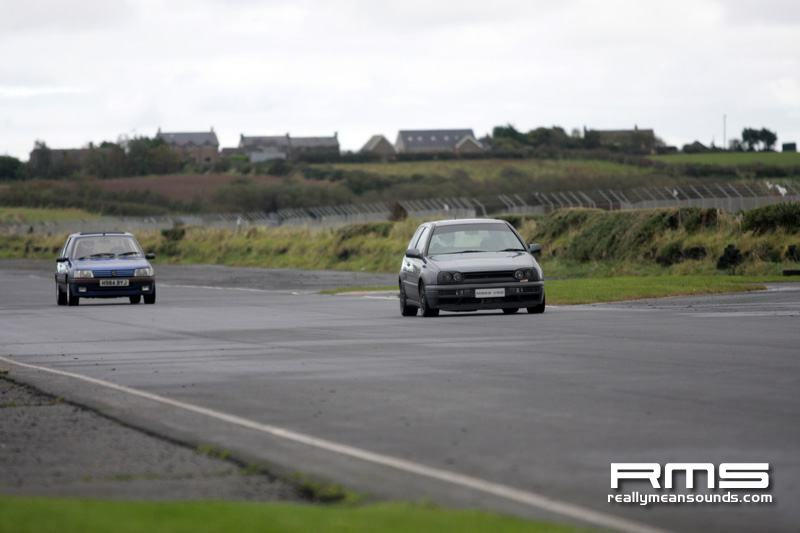 They had been victims of the Kirkistown Curse during our last day. Lack of front brake pads! On this occasion they had plenty of pads and got loads of laps until finally, late in the afternoon, the car went onto the grass at Colonial 2 and bogged in. After getting towed out and taking part of the bog with it, the guys decided they had had enough for the day. Our second group consisted of Desi McGlade, who brought his brother who was visiting from California, Jeffrey Kidd in his Tiger kit car, James Perry in his immaculately prepared Caterham, Paul Hart in a Ginetta G20, Richard Finlay in a Global Light, Jack Finlay in a Ginetta G40 and Martin Currie who was to get more track time in his Evo this day than he has had all season! Once again we had a large number of new drivers in our newbies group and a very eclectic mix of cars. Perhaps the rarest was an immaculate left wheel drive 1982 Peugeot 505 2.2 Turbo driven by William Pollard. 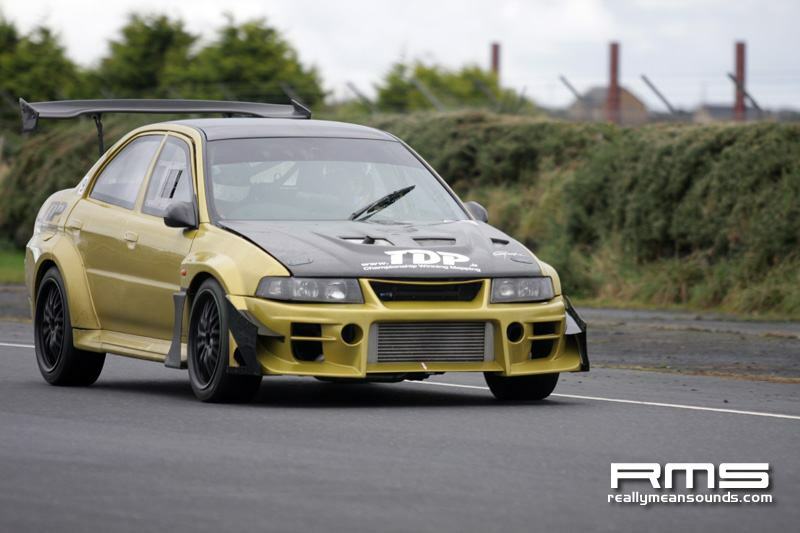 The fastest was undoubtedly the heavily modified Mitsubishi Evo belonging to Dean Reilly. This thing was a rocket ship and Dean drove it really well. 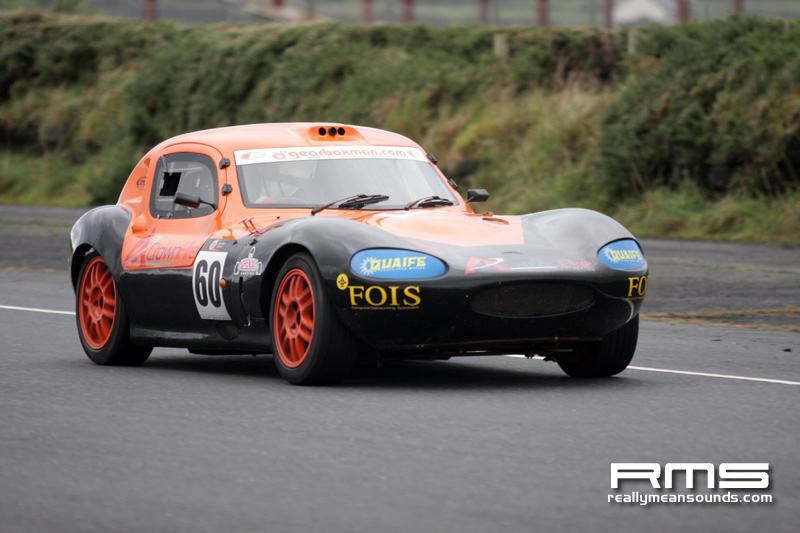 One of the slowest cars, with only a little 1400cc engine, was the Dutton belonging to Neil Thompson. 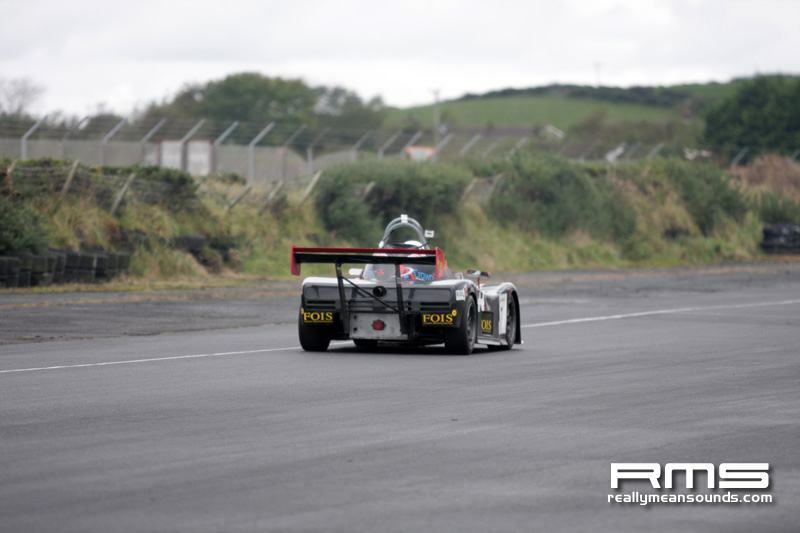 It is fair to say that Dean was nervous before venturing out on track but he drove extremely well and although the car was slow on the straights, he mixed in well with the other track users before his seat mount broke at the end of his second run. I think Dean really enjoyed himself and look forward to having him back soon. 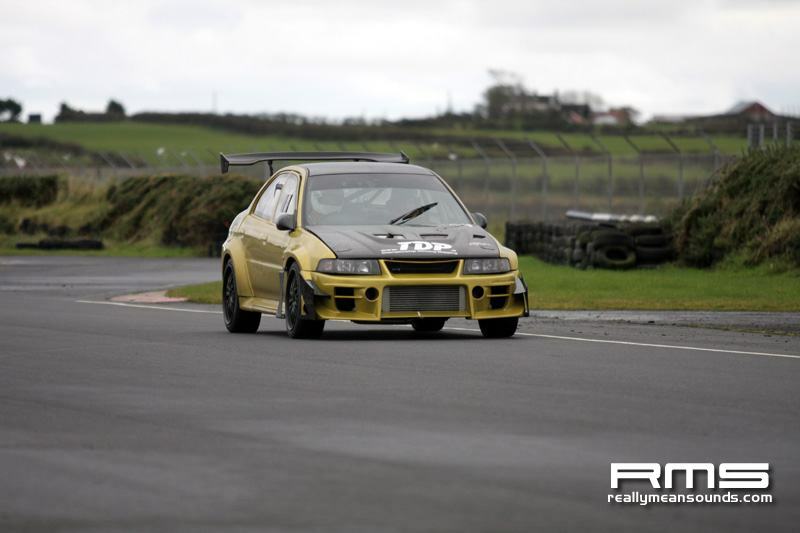 As an organiser, when there is a quick car on track and I hear no reports from the marshals, I know the driver is good. 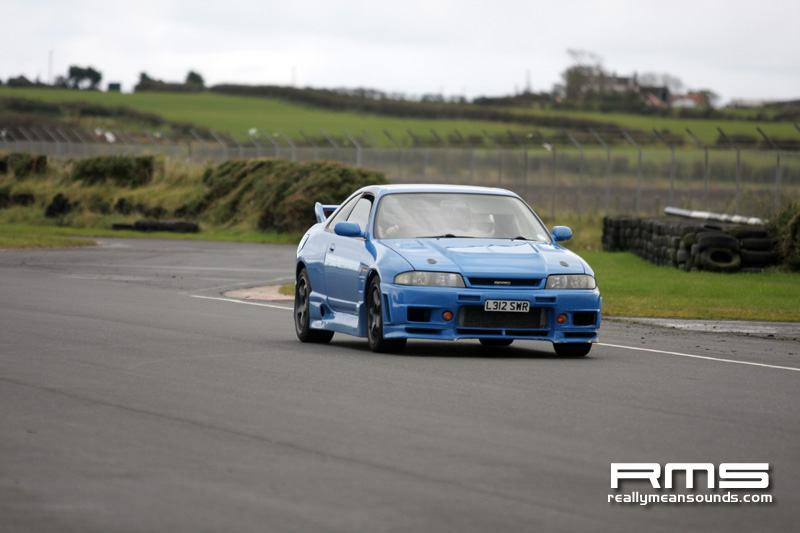 Such was the case with Warren Corr in his R33 Skyline GTST. He circulated almost anonymously all day, just being consistently smooth and quick. There was some curiosity online in advance of Robert Davidsons appearance in his Saab 900 Turbo. 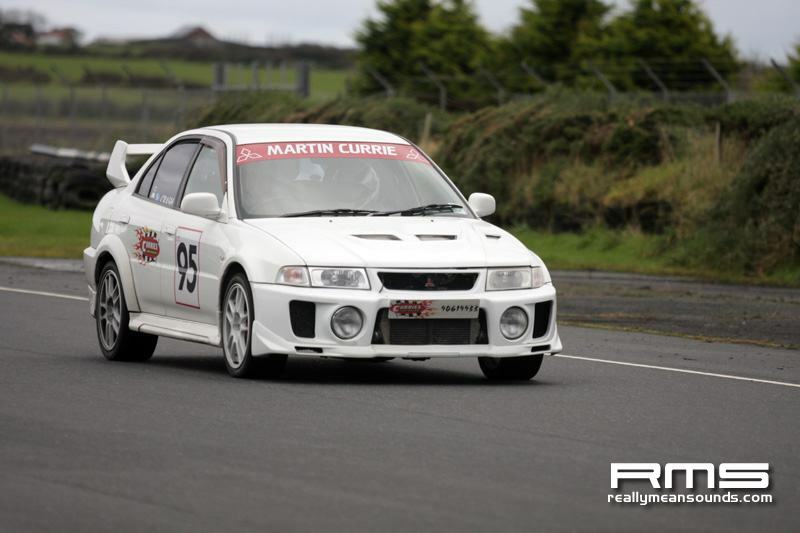 True to form, this car was very quick. 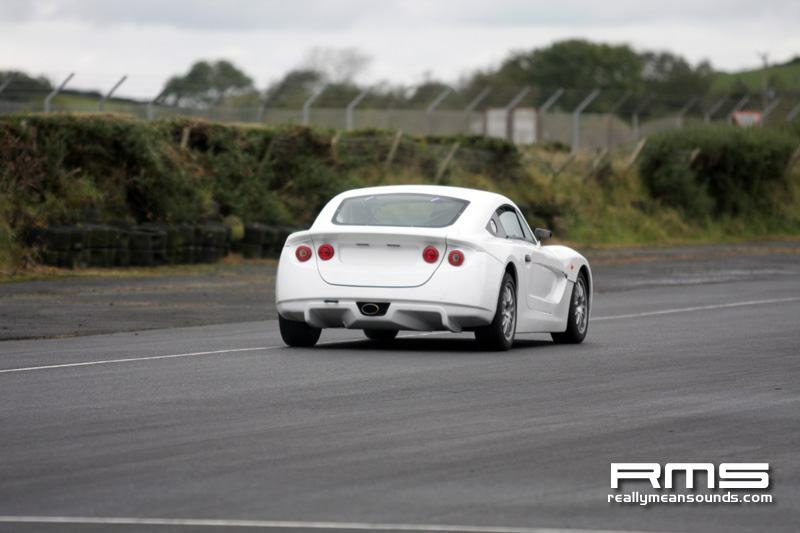 However, the brakes werent quite up to the job and Robert had a scary moment going into the hairpin. 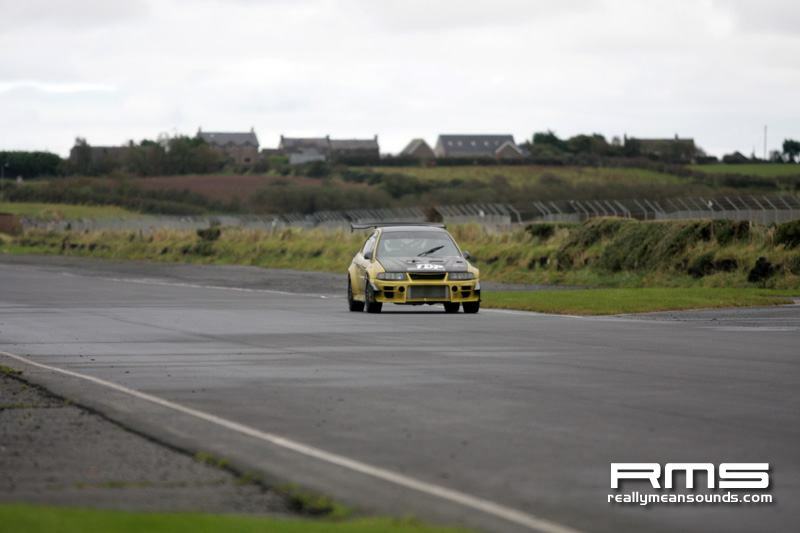 Commenting as one who has had a big off due to brakes failing while approaching the hairpin at Kirkistown, I must say that Robert did a great job keeping the car away from the barriers and guiding it deep into the gravel trap. Hard luck story of the day, apart from Neil Thompsons seat, goes to Desi McGlade who has won this award on one or two occasions. 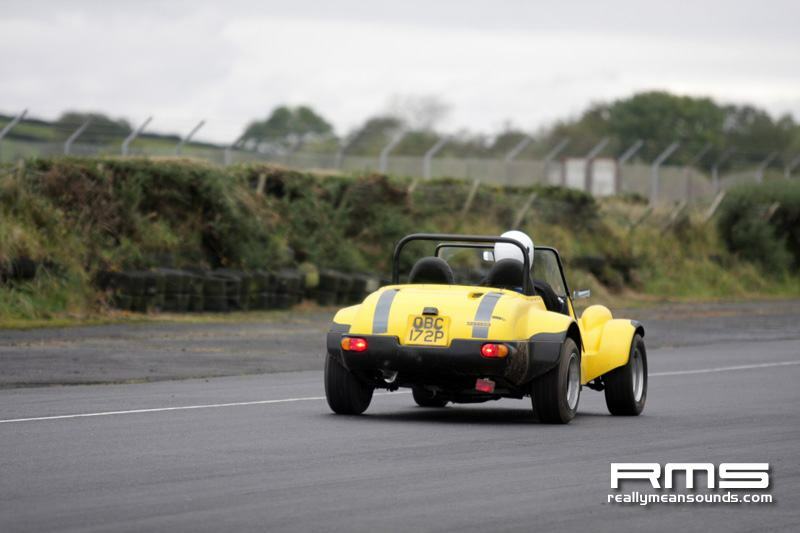 His Westfield shed a drive shaft while exiting the Chicane. Upon recovering the car to the pits he discovered that a custom-made piece of the shaft was missing, presumably still on the track. Instructor, Greer Wray reported having seen something matching the description, on the kerb, exiting the corner. However, by the time anyone could retrieve it, a car had clouted it and it took off, never to be found, even though Desi and his brother searched until dark. Wind-up of the day goes to the aforementioned Greer Wray. 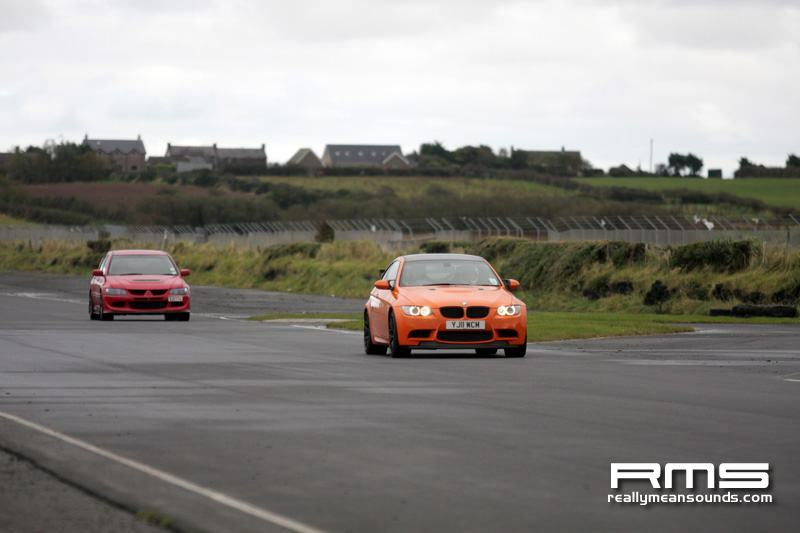 Photographer Tom Maxwell had arrived at the circuit in his brothers new BMW. While he was getting a cup of tea in James Higginsons excellent cafe, Greer attached a towrope to the Beemer from our Cossie, stuck a number on the side, took a photo and posted it on FaceBook. Talk your way out of that one, Tom! Thanks again to all our marshals, most of who had been partying the night before, yet still got out of bed to cover us. Thanks to St John Ambulance Service. Thanks to all the participants for driving safely, courteously and with respect for each other. The biggest thank you has to go to James Higginson who probably rescued the day with his actions on the tractor in the morning. If ever a man deserved your custom in his cafe, it is he. 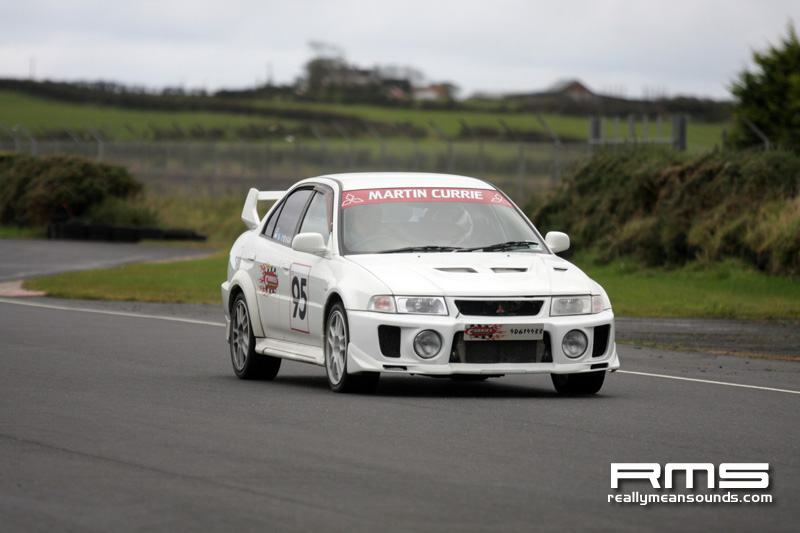 Our final date for 2012 is Sunday 11th November. This is our traditional glowing brake disks day. It is well worth watching at the heavy braking zones approaching Colonial 1 and the Hairpin.